The tabby family has four different types of coat patterns, the classic, the mackerel, the ticked and the spotted, which we will take a closer look at today. Each coat pattern comes in a brilliant array of colors and dilutions. 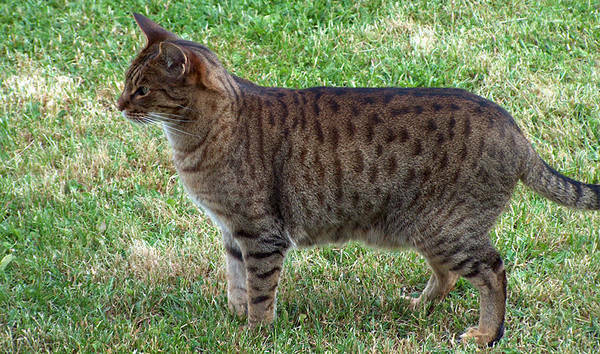 Spotted Tabbies have small spots that form a pattern, instead of the characteristic lines of the classic & Mackerel patterns. 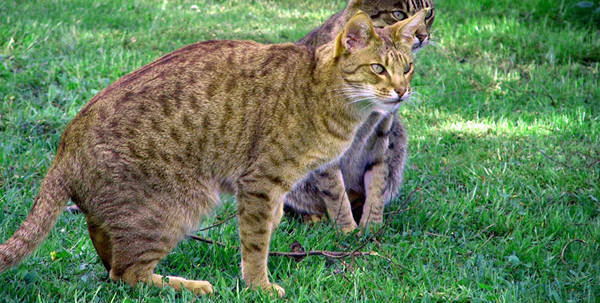 Spotted patterns are found naturally on most wild cats & are often found on more exotic domestic breeds. 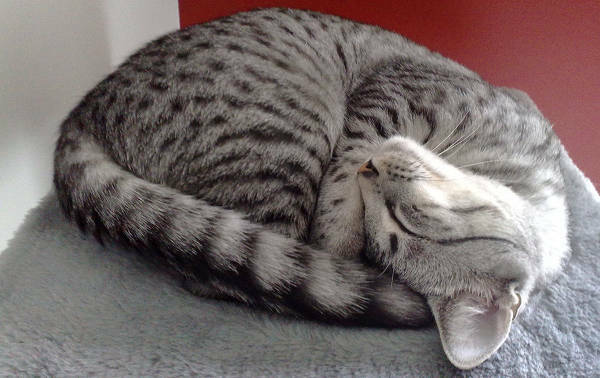 All four of the tabby patterns share several characteristics that distinguish tabbies from other patterns. 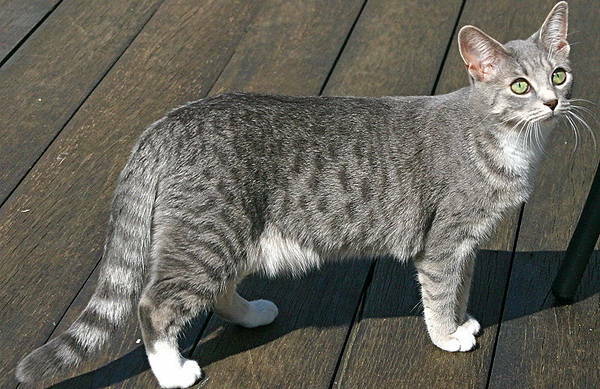 There is also a cream spotted tabby color, however we were unable to find an image. If anyone has one they’d like to share, we’ll give you full credit (& a link back) in return for its use. Now that we’ve taken a look at the classic, the mackerel & the spotted, keep an eye out in the weeks ahead to learn about the final pattern, ticked tabby. Not sure if she is a spotted tabby or what? I have a photo of a spotted tabby that you do not show. I had a true cream, but he was already adopted and for whatever reason, none of the baby pictures I have of him are at an angle to really show his spots. However, I still have his brother, which is a slightly darker orange than the cream, but still lighter than your “red” which looks like a light brown to me. If you tell me how, I would be happy to provide you with a picture of a true orange spotted tabby.